Conch is the outer part of the ear shell. Therefore, Conch ear piercing is another type of cartilage ear piercing and is done absolutely the same way. 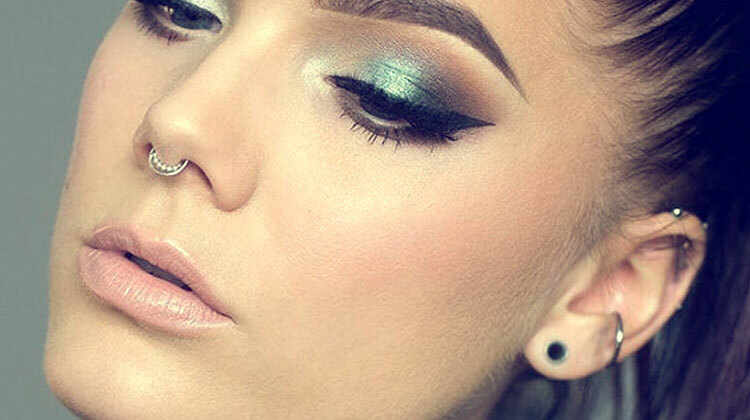 Any professianl peircing master will do the job most likely easy as it is a relatively simple and routine process. How is Conch ear piercing done? First of all, do not try to do it yourself, as there are too many things that can go wrong. As you probalby know, there are two types of conch ear piercing: inner and outer, make your choice as soon as possible. Be aware, that any professional piercing master will get it done for you, even though he does not own that big fancy tatto salon. The first thing that he will do is to disinfect the piercing area of your ear in order to avoid infections. Second, he will use a pen to mark the spot sometimes use a tool to support the ear cartilage. Third, the will perforate the ear using a hollow needle with a receiver or catheter and wipe off any blood. The last, he will insert the decoration or jewelry that you chose into the hole and cover it with gauze. Remember, when you choose jewelry for the ear, try to keep it lightweight and very simple with no sharp edges. It would be very helpfull at the healing time. A dermal punch is used when you want your conch ear piercing larger than ususal. But be aware, that this type of piercing requires a special additional aftercare and, of course, is much more painful because of the thickness of the area. It can be done only on the outer conch as it a flat surface. It mostly depends oh the threshold level for pain. Any type of bodu alternation hurts, you know, and the conch ear piercing is no different. Yes, it does hurt, most people say it was really painful to get the inner conch and they also had soreness. The inner conch piercing is more painful compared to outer conch piercing because of the thickness of the area. A little bleeding is normal for conch piercing, but don’t worry, the piercer artist will take care of it. The inner conch is located at the bowl-shaped area beside the ear hole, while the outer conch is located at the flat portion of the ear, between the helix and the ridge. The procedure of the two perforations is the same, including aftercare procedures. You can choose a single, double of triple conch piercing. If this is your first ear piercing, the initial procedure must heal before receiving the succeeding piercings, in order to ensure the proper aftercare is followed. But, if you have been going through piercings in your ears, acquiring all the perforation all at once will never be an issue as the wounds will recuperate well when you know how to take good care of them. There are so many choices as far as jewelry concerned. Below we’ll name some of them. But you have to remember that your firt time jewelry decoration must be very carefully chosen as it going to be a long time healing process. It should be lightweight and simple enough to prived the space for cleaning and care. You may ask a piercer artist for help choosing the best option for you, before you decide on anything, talk to the professional first, let him know what do you want. You shoild expect to pay $45-75 for your inner or outer conch piercing. Though, make sure you won’t settle for anything less as you might find someone inexperienced, increasing chances of infection after. Inner and outer conch piercing heals very well if you follow proper aftercare procedures. The wound will feel better 5-8 weeks later, but it will completely recuperate between 3-9 months because several layers were punctured. Any piercing can be infected due many reasons. The risks of conch ear piercing getting infected are more, since several layers were punctured. You should also know that the infection can spread through the cartilage and damage it irreparably, causing cartilage collapse. How to Clean your Conch Piercing? Wash your hands thoroughly before touching your conch piercing. Prepare a saline solution – 4 tablespoon of sea salt mixed with 1 gallon of water. Wash the area using an unscented antibacterial soap. Rinse using hot water. Get a cotton and soak it in your saline solution. Make sure that you get a small part of your solution in a bowl so as to not contaminate your entire solution. Dab the cotton on one side and immediately discard. Use a new cotton on the other side. It would be best if you will choose a barbell as it lessens probable trauma. If you want a ring, make sure that it doesn’t get pulled. Never rotate or tug your jewelry. Do not remove the crust formation as it will delay the healing time and could freshen up the wound once again. Clean your wound twice a day using a saline solution as a disinfectant. Add 4 tablespoon of salt to a gallon of water. Do not touch your newly pierced conch especially when your hands are dirty. Keep it dry. After taking a bath, make sure that you immediately pat it gently using a clean cloth. We hope that this article helped you decide whether or not you want a conch piercing and get you ready for what’s coming, in case you do!